The determination of wind effects on a bridge is an important stage of the design process as they may be dynamically sensitive. 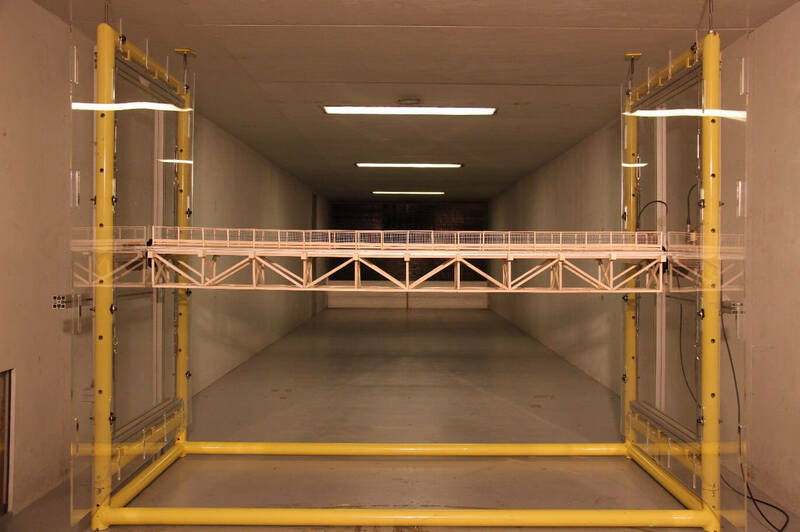 Our services include preliminary estimation of wind effects, wind tunnel testing of section models for overall static loads and dynamic stability, and full aeroelastic model testing. 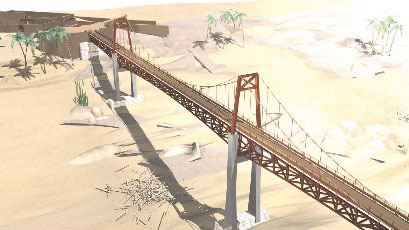 Windtech Consultants can conduct preliminary estimations of forces, moments and accelerations on the bridge, as well as provide advice on the dynamic stability of various bridge deck section designs at the concept design stage. At the detailed design stage, wind tunnel testing of section models for overall static loads and dynamic stability can be undertaken. These sections test will verify the overall dynamic stability of the bridge section under wind loading and modifications to the bridge section design can be tested to improve its dynamic performance. For bridges with unique designs or that are located in wind prone areas full aeroelastic testing of the final bridge can be performed. Windtech Consultants completed a wind tunnel study for a pedestrian bridge in Riyadh, Saudi Arabia. Testing was carried out using both a dynamic and a static section test rig. It is sufficient for this type of bridge to perform a test on a typical section model, incorporating the relative stiffness in both torsion and lift in the dynamic test rig. Windtech modelled all the aerodynamic properties of the bridge section down to the effect of the porous fence on the sides. Additionally, the dynamic properties were correctly modelled based on the latest dynamic properties. The dynamic test rig showed that there are no aerodynamic instabilities for wind speeds up to the equivalent of a once in 10,000 year event. Wind loads on the main suspended cable, and hangars and towers were included in the final load cases. The pedestrian excitation response of the bridge was also analysed.